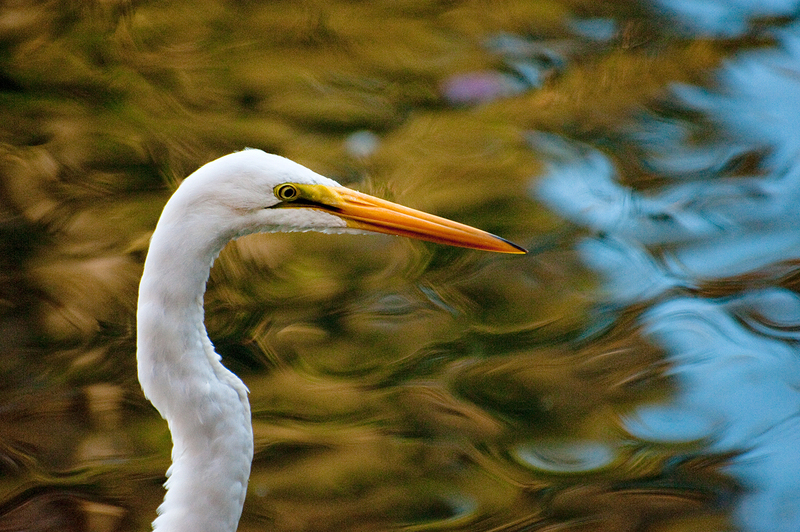 This Great Egret was stalking the darker edges of the Palace of Fine Arts Lagoon and the slow shutter speed mixed the reflections beautifully. 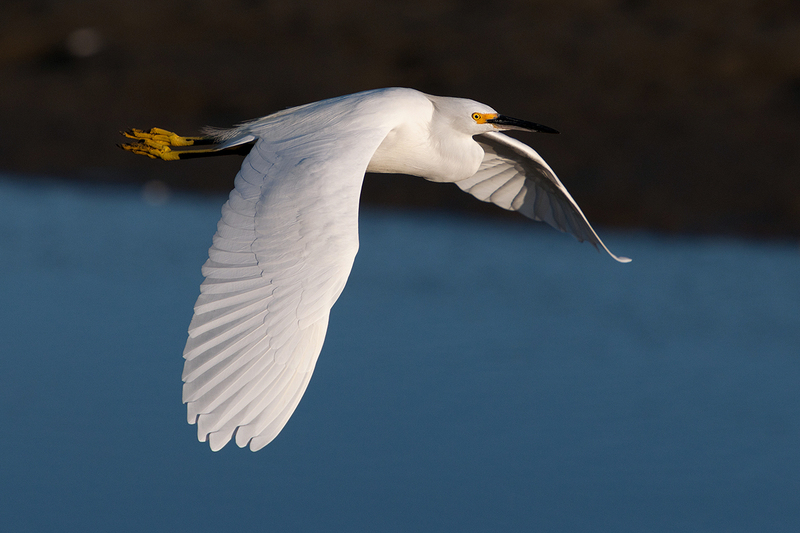 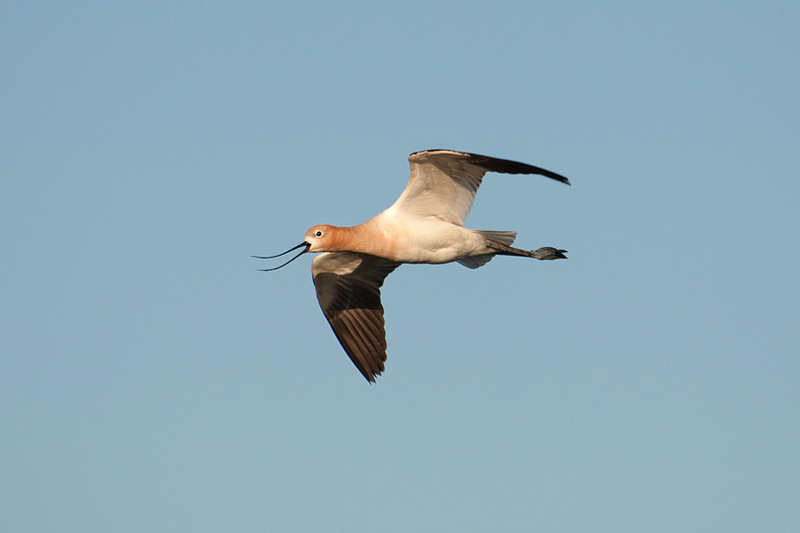 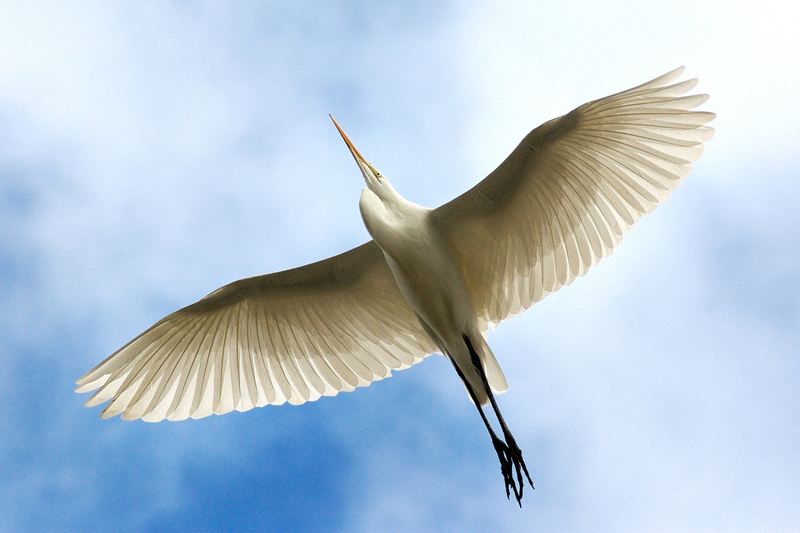 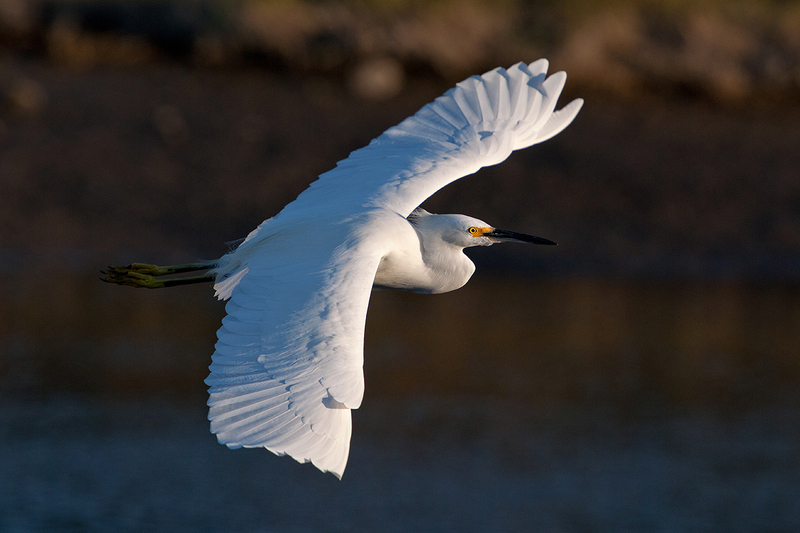 Great Egret soaring overhead at Crissy Field. 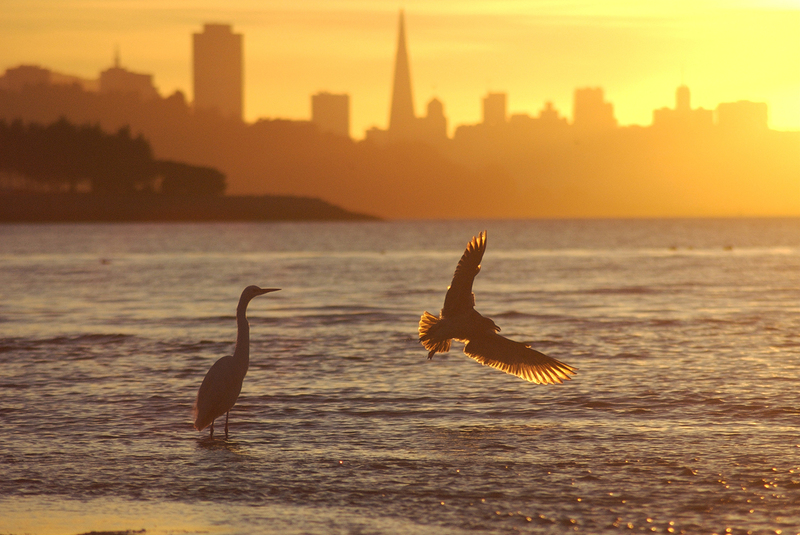 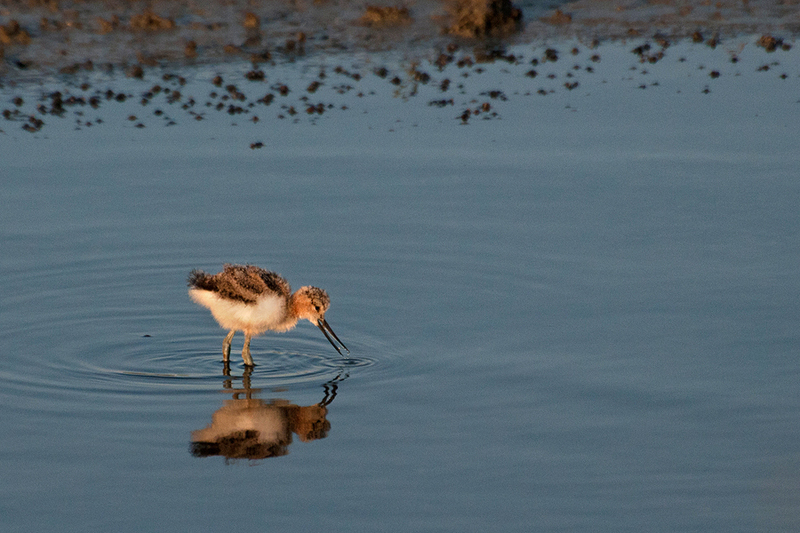 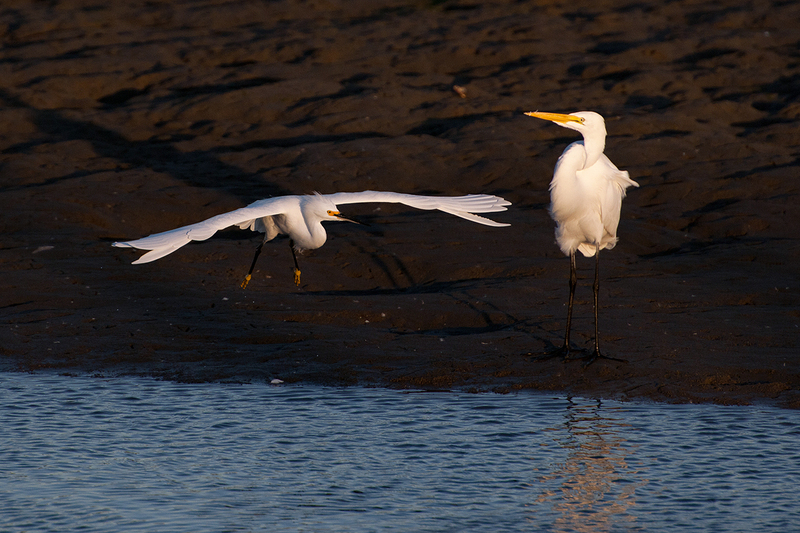 A Great Egret with a prize at Crissy Field. 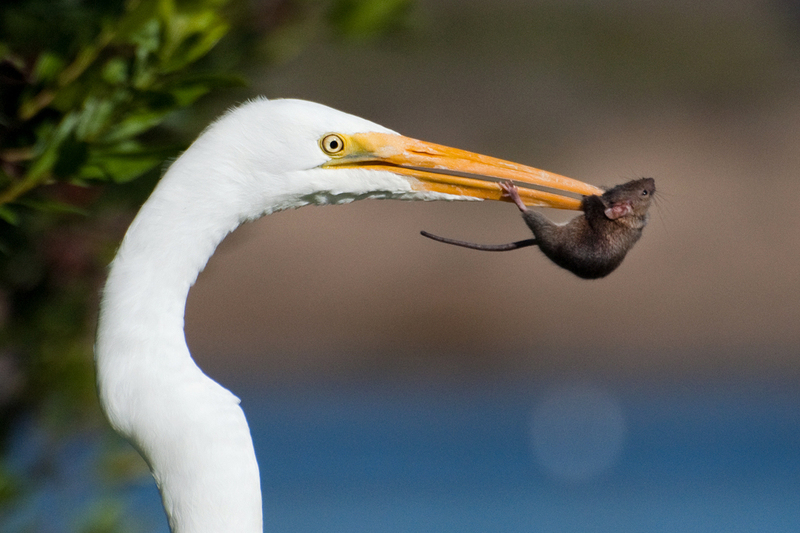 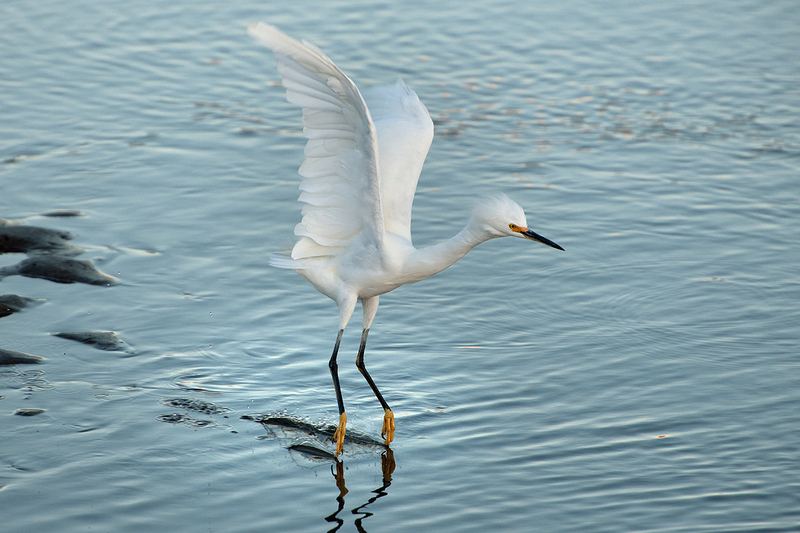 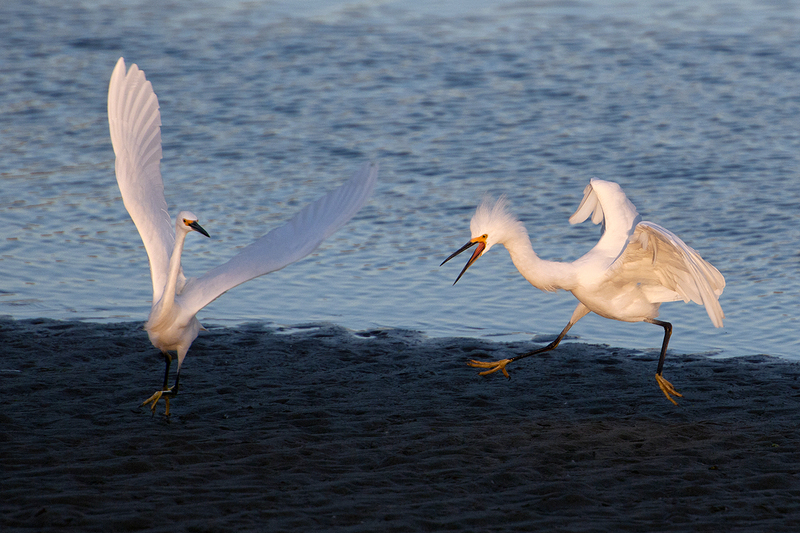 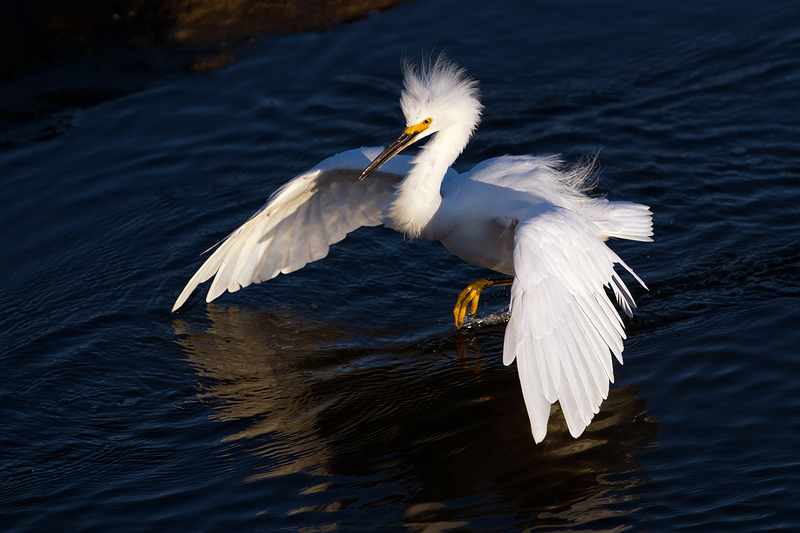 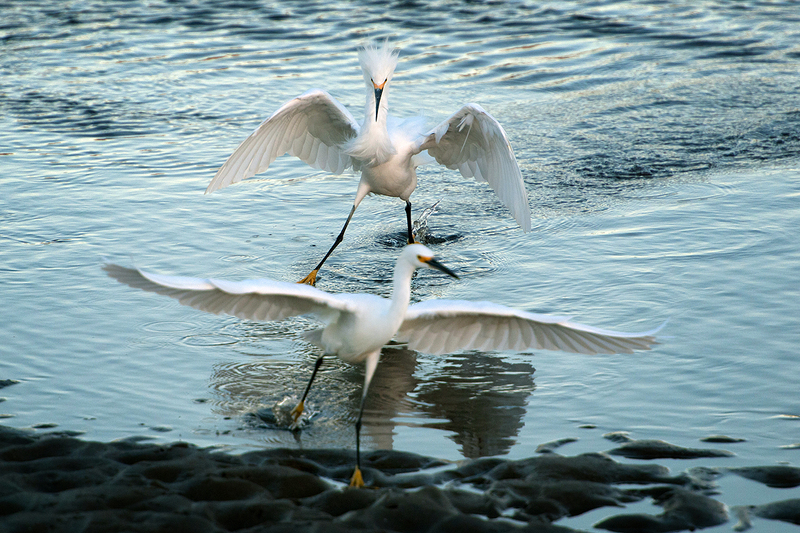 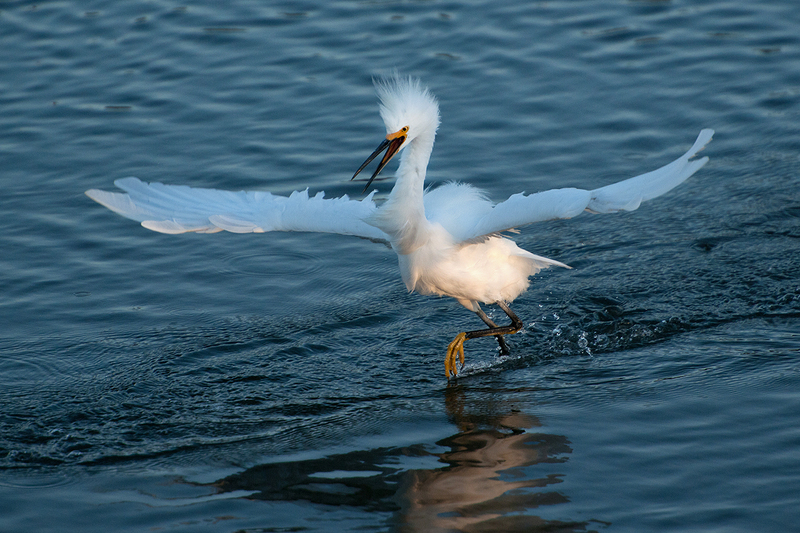 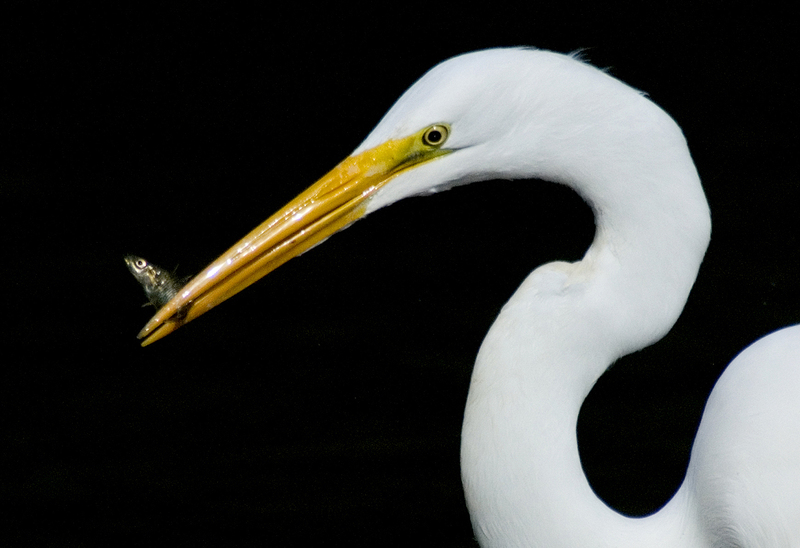 A Great Egret subdues a Three-spined Stickleback at the edge of Lloyd Lake in Golden Gate Park.